We’ve visited a fair number of volcanoes with the kids. 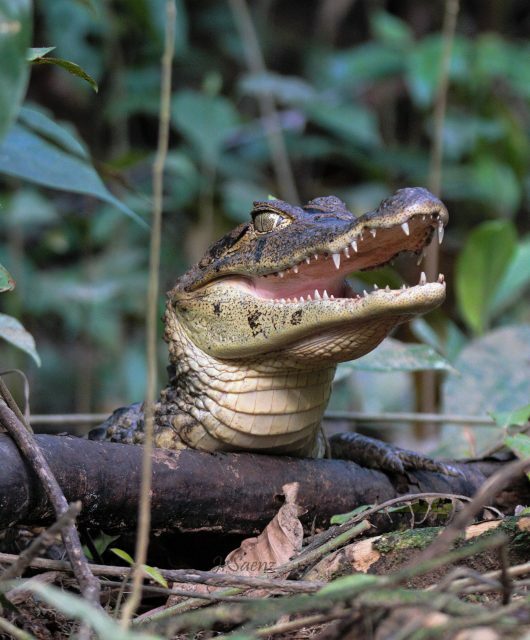 Many have been either dormant or extinct, but we’ve also visited some active ones. Our first active volcano was in Costa Rica, and this summer in Ecuador we hiked around Cotopaxi which is waking up and spewing sulphur. 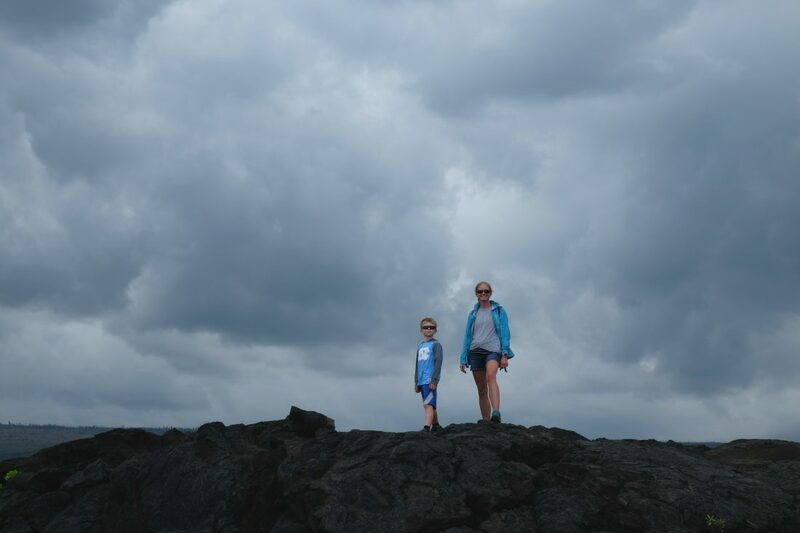 We took it a step further on two recent trips to the Big Island in Hawaii where we visited Volcanoes National Park and saw Kilauea’s steaming caldera and flowing molten hot lava. I wrote about our extreme doors off helicopter ride over Kilauea here. 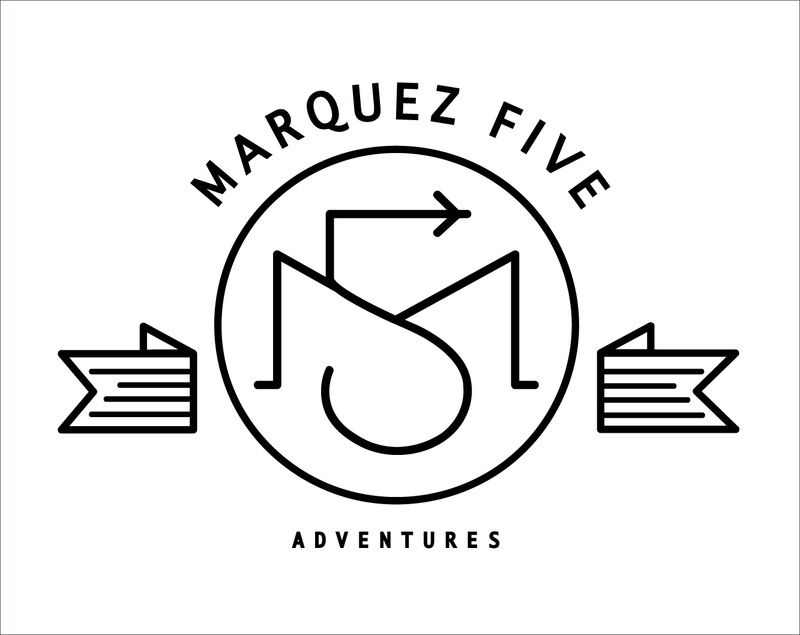 Mike and I did this on a trip in October without kids, but you can absolutely take kids. 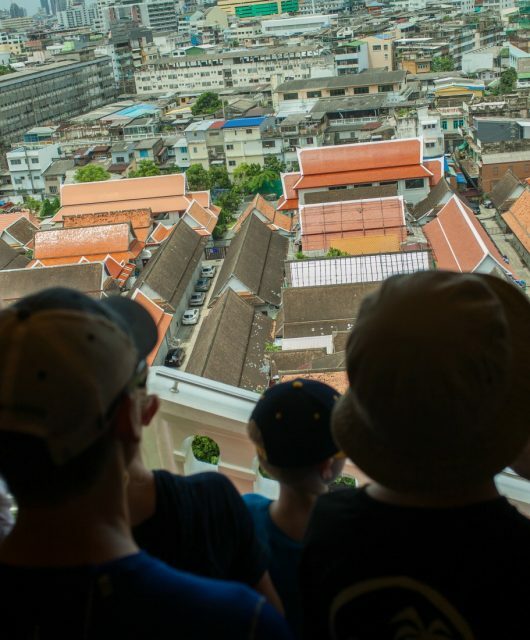 There are also doors-on helicopter rides over the park as well as other routes that explore different areas of the island. 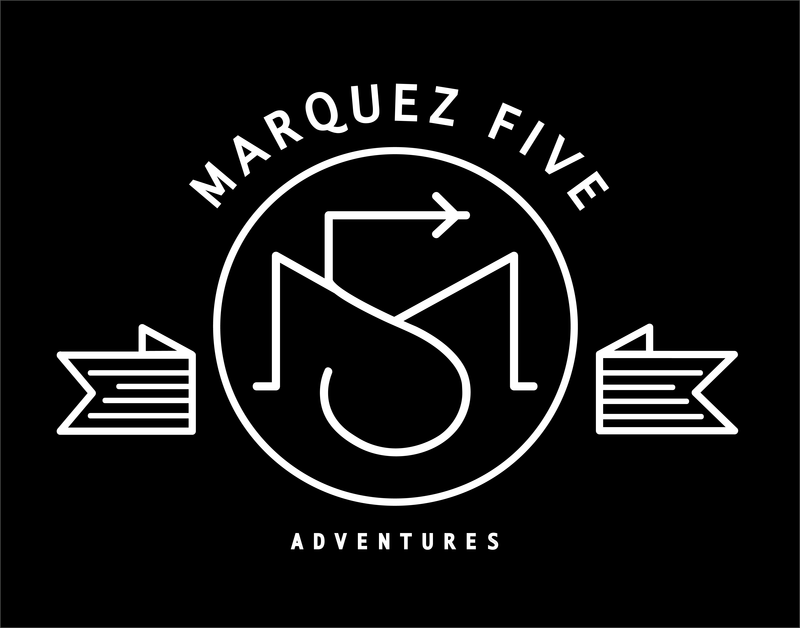 We looked into this latter option for our most recent trip with our kids, but decided to do a bike tour instead (perhaps a selfish decision since we had just done the helicopter tour and I wanted something different). 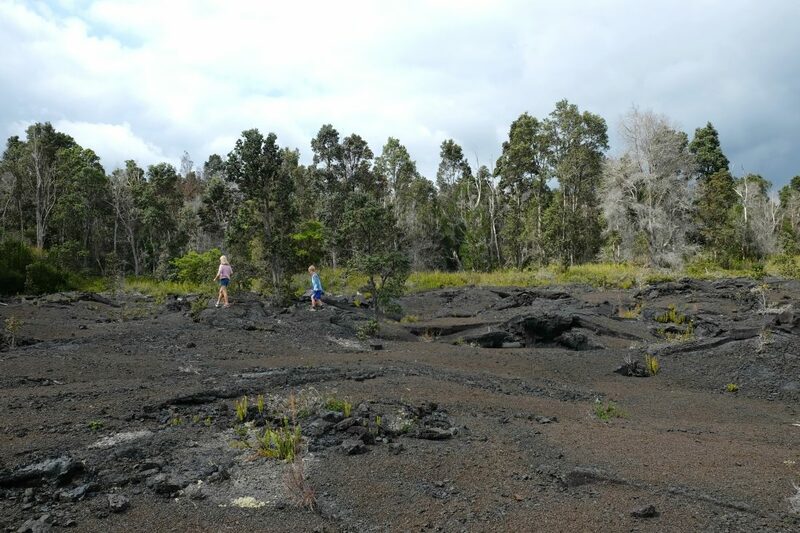 It is possible to hike out to the slow flowing lava. From the end of Chain of Craters Road it’s approximately 4 miles down a gravel emergency road and then you cut in over the uneven lava fields which are hot, have deep cracks, and are razor sharp in some areas from previous flows. 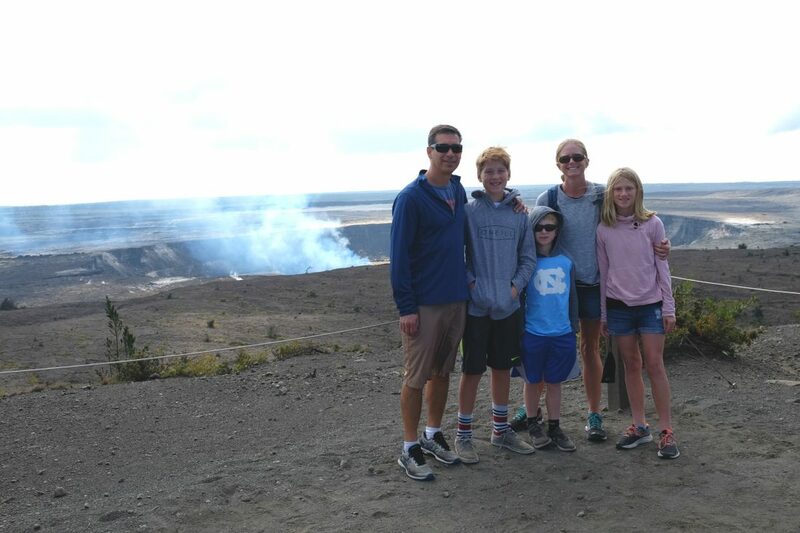 It’s definitely not for everyone (our kids were freaked out by the idea), but we saw people on their way out & back and it would be pretty amazing to get that close to flowing lava. Now that we are all comfortable bikers, we thought it would be fun to see the park by bike. 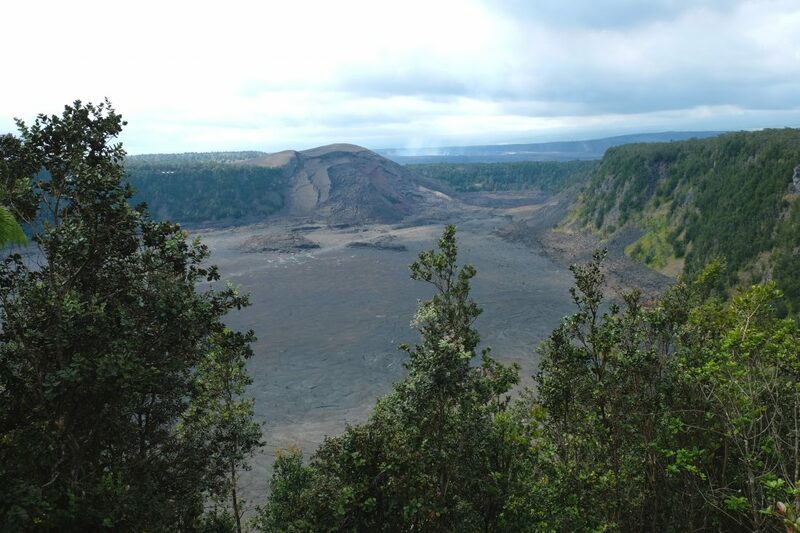 We started at the Jaggar Museum which overlooks Kilauea’s active crater. Our guide led us through a quick tour of the museum which was small, but interesting. What I found most interesting was the diagram of the hot spot that has created the Hawaiian islands. As the Pacific plate moves west over time, the magma stops feeding the volcanoes and they become dormant and then extinct. The oldest islands are Ni’ihau and Kauai which are the furthest west and slowly sinking back into the ocean while the Big Island is the youngest and still has active volcanoes. We also learned a new island, Lo’ihi, is forming approximately 28 miles southeast of Hawaii, but it is still ~3000 feet under water. My only issue with this particular tour was even though we had given them each of our height/weight when we booked, they did not have a bike that appropriately fit our 7-year-old. The first bike they gave him was so big it looked like he was trying to ride a Harley with the handlebars up high and the seat low. His little hands could barely grip around the hand brakes. Because the bike didn’t really fit, he couldn’t keep up with the group so they moved him to a ride-on that attached to Mike’s bike. We didn’t mind except that he was actually too big for that one and had a hard time staying on around corners and over bumps! He didn’t complain and it was the better option of the two, but I was surprised they didn’t have a bike that fit him (our 10 and 13-year-old were fine). So just confirm any tour you go with has the right sized bikes! Once we got going on our bikes we had a great time and it was a fun way to see the park. It was easy to stop at various points along the way and not have to worry about parking a car.  We had one guide leading us on a bike and another following behind in a van with water, snacks, our jackets, tire repair kits etc. It came in handy when our 7-year-old fell while trying to balance on a curb and scraped his knee. Within seconds they were fixing him up with their first aid kit! 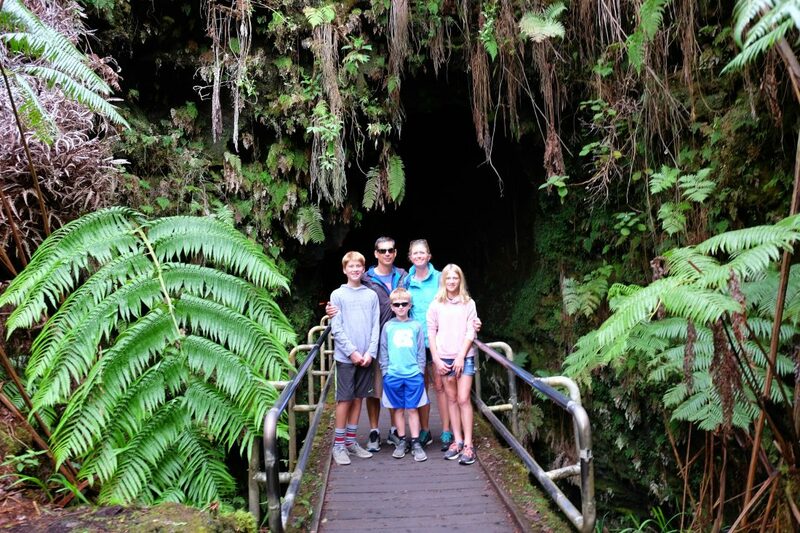 We stopped at the Thurston Lava tube which was far bigger than the lava tubes we saw in the Galapagos this summer. 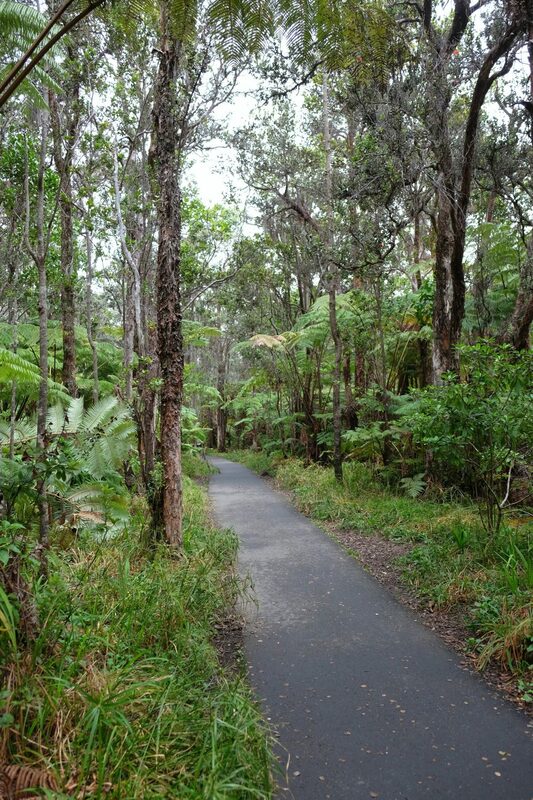 We also loved how lush and green this part of the park was compared to the dry landscape we were used to on the Kohala Coast. It was dark, wet and cool inside the 600 foot long lava tube. The ceiling is as high as 20 feet in some places and there are different marks along the walls which represent multiple lava flows over time. 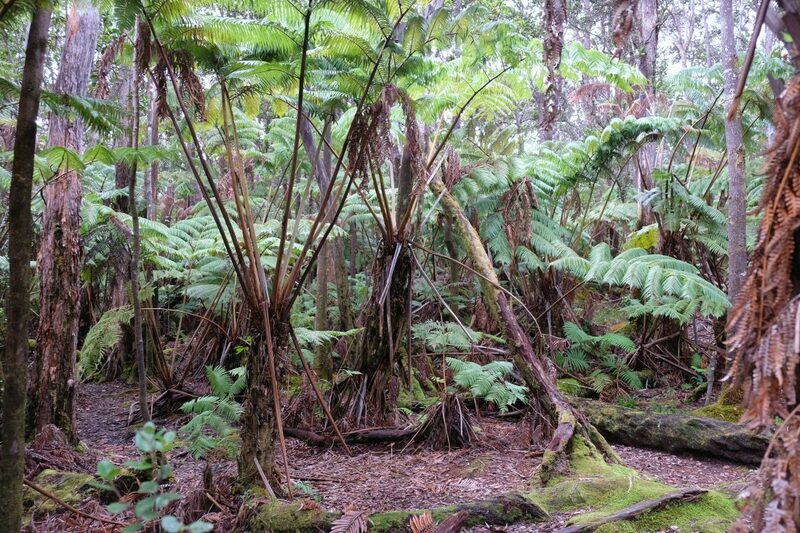 On the other side of the lava tube was a tropical rainforest. 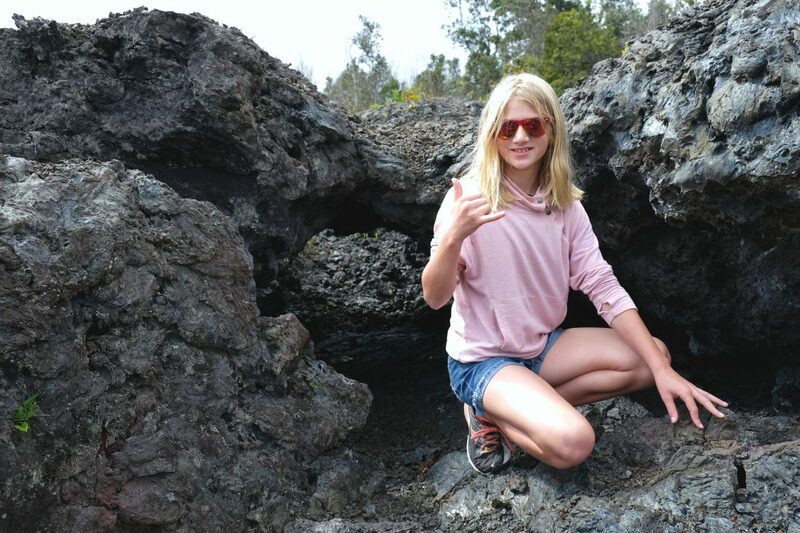 At one of our other stops we found the beginning of a lava tube – much smaller than the one we walked through! The kids were blown away by how light the lava rocks were! 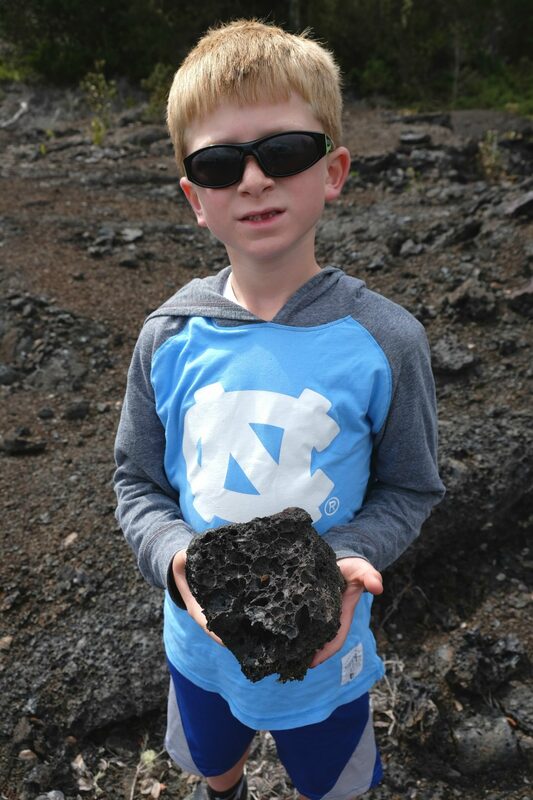 They really wanted to take some home, but we told them it’s considered bad luck to take lava rocks from the Big Island. We didn’t want to do anything that might upset Madame Pele, the volcano goddess. In fact, the post office in Hawaii receives hundreds of packages a year containing returned lava rocks! Be sure to leave the lava rocks where you found them! 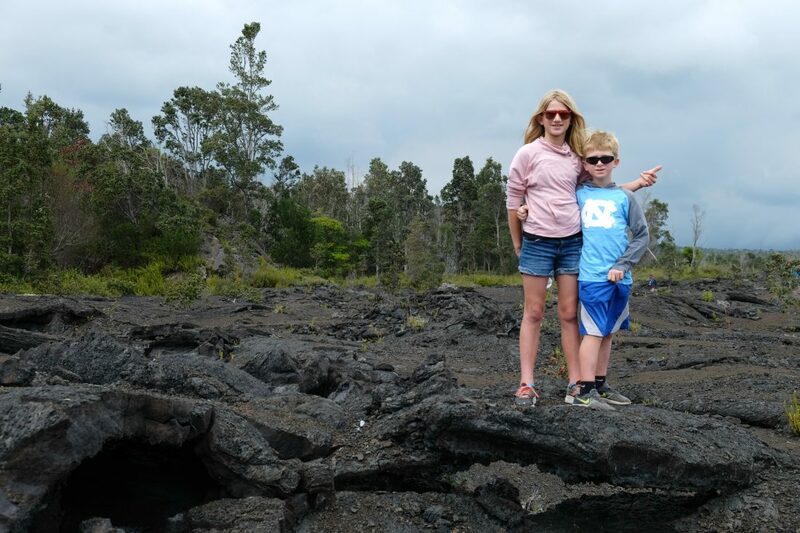 The kids loved exploring all the lava fields. 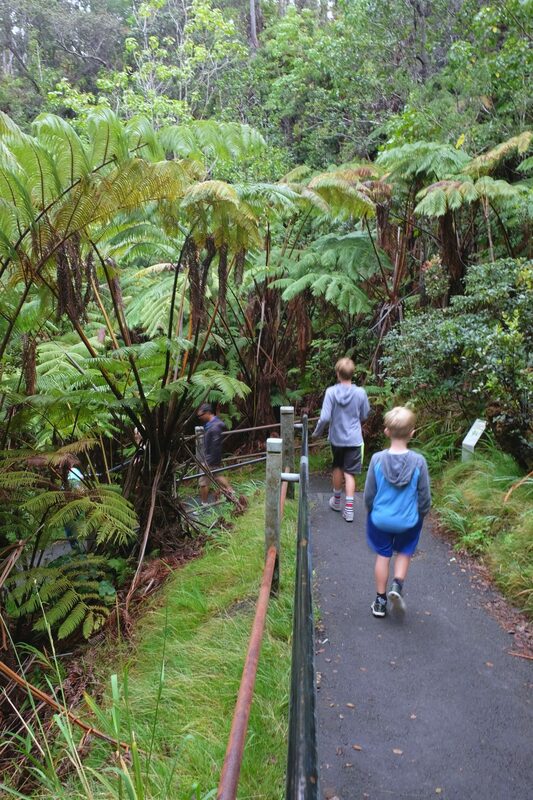 They found little lava tubes, lava bridges, and lots of climbing opportunities. Our final stop was at the end of Chain of Craters Road where we ate lunch overlooking the Pacific Ocean. 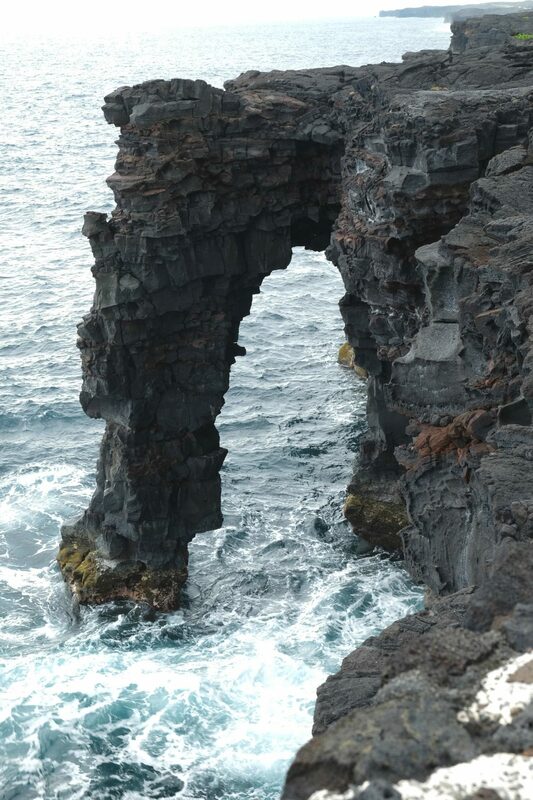 Here we found the 90 foot high Holei Sea Arch which was formed by the ocean carving away at the old lava flow. 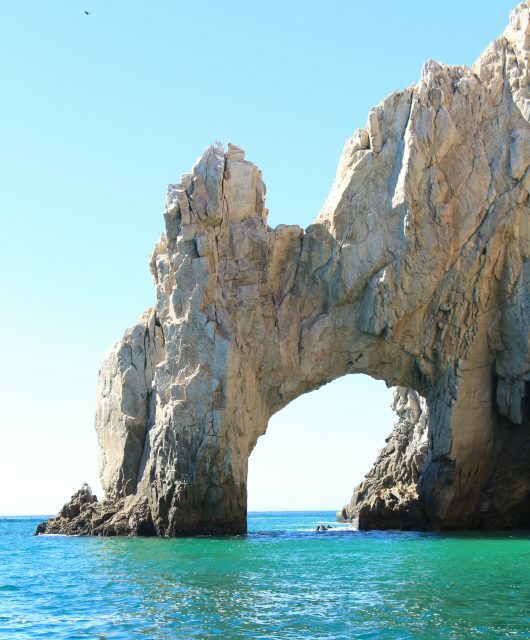 The arch is estimated to be about 100 years old and will eventually crumble back into the ocean. There are lots of hikes in the park which we unfortunately didn’t get to. 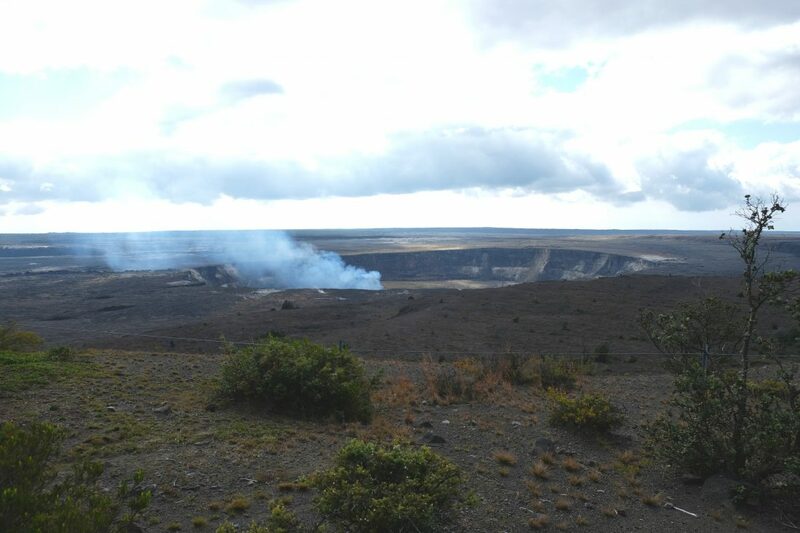 I was most disappointed that we didn’t get to hike the Kilauea Iki Crater trail which is the highest rated hike on the Big Island per Trip Advisor. 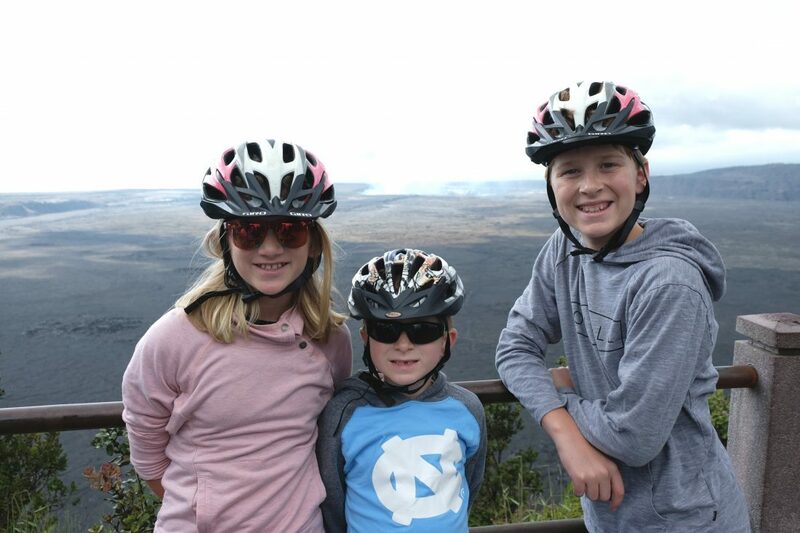 We did, however, stop at the crater overlook on our bike trip. The eruption of this crater began on November 14, 1959 and ended on December 20, 1959. 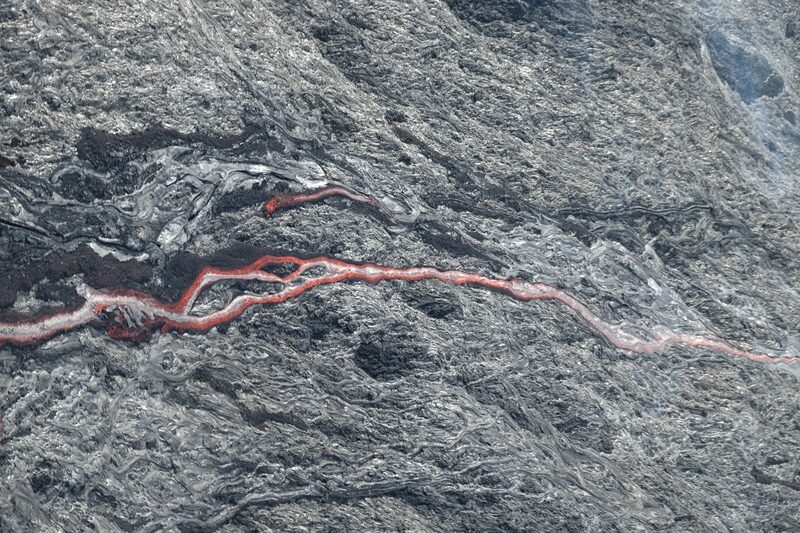 With each episode, lava would fill the crater and then drain back into the vent. 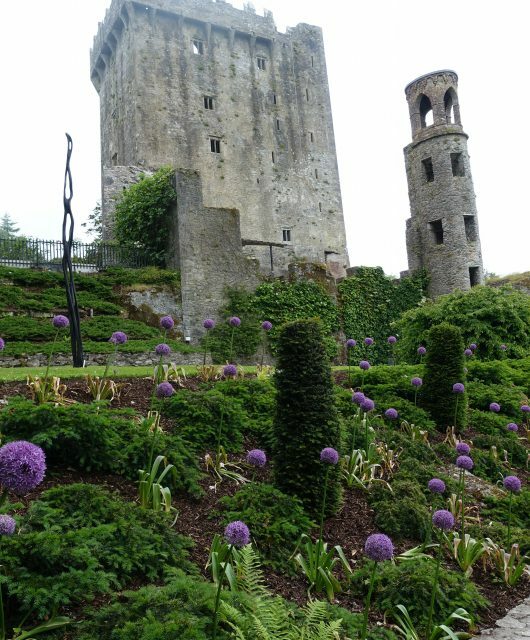 With each subsequent filling and draining, a prominent “black ledge” formed around the edge like a bathtub ring. The ledge grew towards the center as lava was repeatedly plastered on top. The trailhead for the 3.2 mile loop hike begins in the parking lot on Crater Rim drive. It starts in the rainforest at the top where I took this picture and winds down to the crater and finishes by crossing the pit crater and ending back at the trailhead. We stayed along the Kohala Coast on the west side of the island which is approximately 2 hours away from Volcanoes National Park and makes for a long, but doable day trip. 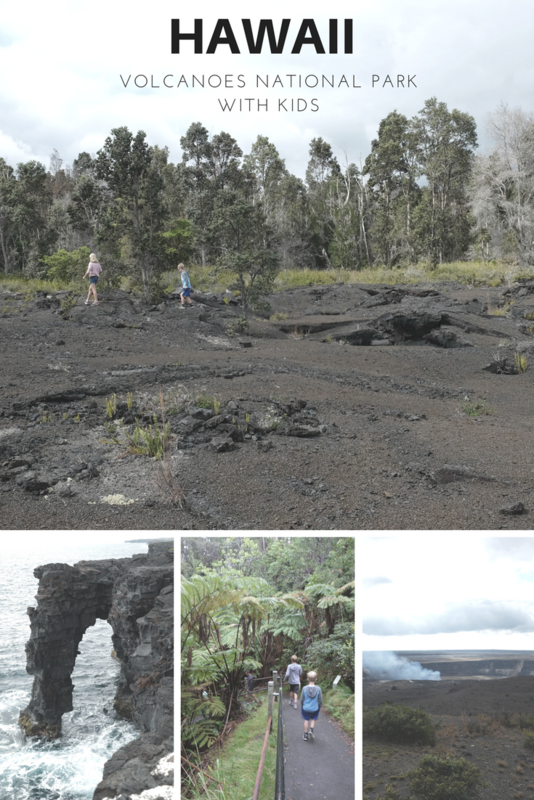 When we return to the Big Island, we will plan to stay a few nights near Hilo which is about 30 minutes from the park. I would have loved one more day to explore the park and staying closer would have made that possible. Additionally, there are many towns and sights to explore along the east side of the island which we wanted to see, but the lengthy drive kept us away. 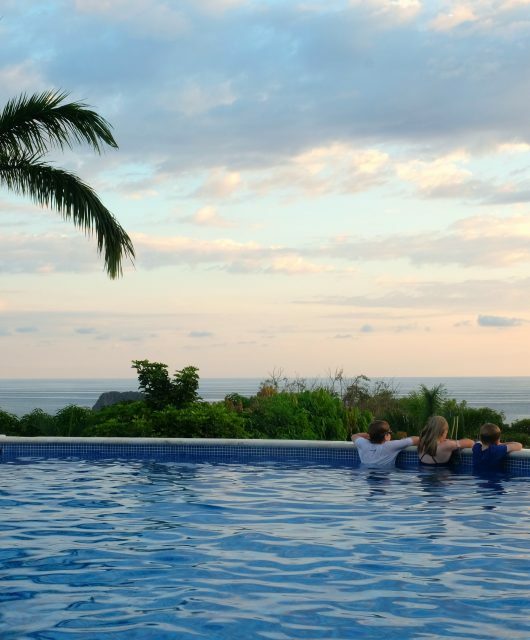 My recommendation is to stay in different parts of the island for a few days at a time so get the most out of your time on the island and cut down on driving – because the Big Island is really “BIG”! I love the look of the jungle Carrie. 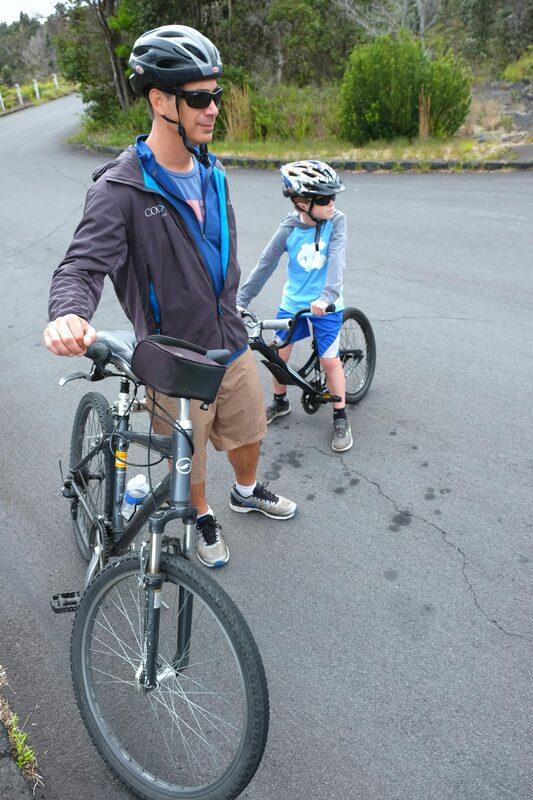 Digging the bike tour too, as the kids and parents can both get some serious cardio while enjoying the fascinating location. Any time I get to bike around during travels I am all over it; green way of seeing spots while also keeping my waist trim. The pictures were beautiful and very interesting!